This month’s member highlight is Alyse Moses-Lebron. 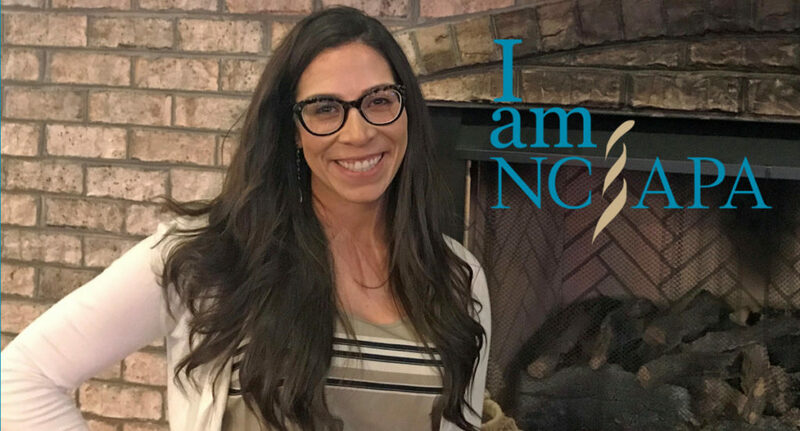 Alyse is a graduate of UNC’s PA program and was the recipient of the 2017 scholarship earmarked for a UNC Physician Assistant Studies student from the NCAPA Endowment. The scholarship recognized Moses-Lebron’s work organizing food drives, providing first-aid services to those affected by flooding, and helping students who have emergent needs. Alyse currently practices in Wilmington, NC, in radiology. She supports NCAPA and believes that NCAPA will “propel our profession.” She loves helping patients and being part of a team. Alyse has always wanted to be in medicine and being a PA has allowed her to fulfill her dream. Thank you for your dedication to the PA profession, Alyse. NCAPA, and all PAs in North Carolina whom you support through your membership, are grateful for your commitment.